Your trip is booked, your bags are packed and you’re getting ready to embark on a much-needed vacation. 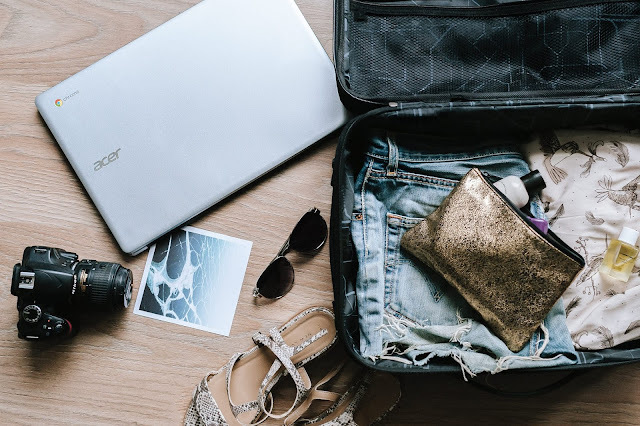 While you’re taking this trip to have fun and relax, there is a lot of stress that comes with leaving your home for an extended period of time. Use the week before your vacation to prep for your trip. This will ease your mind while you are away and create a zen space for when you return! Program your thermostat – no cooler than 54 degrees F, no warmer than 80 degrees F. This will help save energy while you’re away! Don’t have a programmable thermostat? Consider the investment before you leave! Suspend your mail – Either ask a friend or family member to pick it up, or ask the USPS to hold it for free. Think before you post - A staggering 4,800 burglaries take place in the U.S. every day, with the majority of break-ins committed by burglars who live nearby. While you may want to share every detail of your trip on your Instagram Stories, remember that doing so is essentially the same as announcing to the world that you are far, far away from home. Unplug small appliances – This will save power and protect them from possible power surges. Make plans for your pets - Decide if you’re boarding your pets or if someone is going to take care of them for you! Depending on their accommodations, make sure they’ll be supplied with plenty of food and water, and have access to their favorite toys. If you decide on boarding them at a kennel, make sure they are up to date on their vaccines. Clean your home & catch up on laundry – You will be so glad you did! The last thing you’ll want to do after travelling is clean. Give yourself a relaxing space to come home to and make your vacation seem even longer. Cook and freeze a welcome home meal – Chances are, you’ve probably eaten out a lot on your vacation and you may be eager for a homecooked meal. Give yourself a welcome home present by cooking and freezing something simple like chili, soup or ziti. Purge the fridge – On a similar note, clean out your fridge, chucking anything that is set to expire while you’re gone. Make sure you also empty your kitchen garbage. Turn off your main water supply – Unfortunately, sometimes leaks just happen. If you plan to be gone for a week or more, be safe and turn off your water supply so that you don’t come home to a flood. Check all windows and doors – Do a final walkthrough, paying extra attention to windows and doors. It’s easy to accidentally leave one unlocked. You might also want to consider an alarm system – find window burglar alarms online for as little as $10! Check up on your insurance – Re-visit your insurance policy to see what’s covered, should anything happen while you’re away. Instead of stressing during your vacation, plan and prepare ahead of time to give yourself the gift of a carefree break from reality.